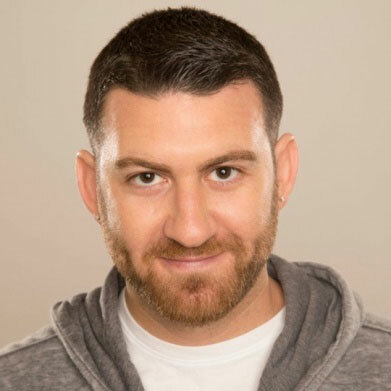 Jewish Federation's Young Adult Division Presents Comedian Noah Gardenswartz at "Stand Up for Giving"
Comedian Noah Gardenswartz will take the stage at the Jewish Federation of Greater Pittsburgh’s Young Adult Division (YAD) event, Stand Up for Giving: Make Pittsburgh Laugh Again. YAD invites Jewish and non-Jewish adults ages 21–45 to the event, to be held Saturday, Feb. 25, at 8 p.m. The event will be at the Kelly Strayhorn Theater (5941 Penn Ave., Pittsburgh 15206). The cost is $50 per person. In addition to Gardenswartz’s performance, the evening will feature pre-show cocktails and hors d’oeuvres and post-show desserts. Noah Gardenswartz is a New York–based comedian featured on “Conan” and Comedy Central’s “Adam Devine’s House Party.” He was a semi-finalist in 2015 on NBC-TV’s “Last Comic Standing,” and he had his own half-hour special on Comedy Central last year. Gardenswartz performs at clubs and colleges across the United States, and he works on behalf of Jewish Federations, Hillel Jewish University Centers and the American Jewish Joint Distribution Committee. Although born and raised in Denver, Gardenswartz made his debut on the comedy scene in Atlanta. Using his well-crafted mix of jokes, observations, and personal stories, he rose in popularity in New York City. At the event, attendees will have the opportunity to make a financial gift to the 2017 Annual Campaign of the Jewish Federation of Greater Pittsburgh. No minimum gift is required to attend. By making a Campaign commitment, each attendee can make a personal impact that benefits the community. The Federation’s Annual Campaign provides essential, unrestricted dollars to our beneficiary agencies that support individuals and families in Pittsburgh and around the world. Many of these programs, such as the Jewish Community Center of Greater Pittsburgh, benefit Jewish and non-Jewish Pittsburgh. Dinsmore, one of the Pittsburgh region’s largest law firms, is the corporate sponsor of Stand Up for Giving. Event chairs are Rebecca and David Knoll, and the Host Committee includes Steve Abrams, Shira Burg, Max Cahn, Elena Davis, Sam Kline, Meira Russ, Nahum Shalman, Rachael Speck and Alex Speck. Randy Whitlatch chairs the Jewish Federation’s Young Adult Division, and Marcie Solomon serves as co-chair. For accommodations related to disabilities or to attend Stand Up for Giving, register online atwww.shalompittsburgh.org/stand-up-for-giving or contact Meryl Franzos at mfranzos@jfedpgh.org or 412.992.5204. Kosher dietary laws will be observed. The Young Adult Division of the Jewish Federation of Greater Pittsburgh is the nexus of Pittsburgh’s vibrant community of Jews in their 20s, 30s and early 40s. The division offers many exciting ways to get connected and involved, including fun social events, meaningful volunteer service opportunities, spectacular trips to Israel and beyond, stimulating educational programs and fulfilling leadership opportunities.